With reports indicating a $1.4 trillion funding deficit for state public pension systems nationwide, it’s painfully clear that America’s pension crisis is getting worse each year. 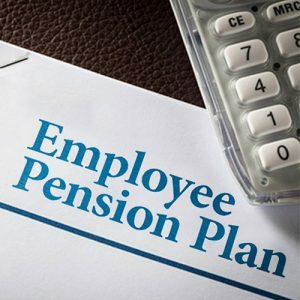 Most states across the country simply don’t have the assets needed to cover the pension promises made to public employees, leaving many of them worried about the fate of their retirement futures and the future of the pension system in general. In California, CalPERS and CalSTRS owe tens of billions of dollars to employees, with unfunded liabilities totaling $138 billion and $96 billion, respectively. Policymakers scrambling to find solutions to cover these shortfalls have had continuing public debates pitting non-public employees and anti-labor lawmakers against public employees and the unions that represent them. But who’s really to blame? When you consider the facts, public employees are definitely not the ones at fault. Many taxpayers are enraged by the prospect of having to shoulder the cost of pensions because they believe they are paying for the generously funded retirements of public workers. In actuality, the majority of pension amounts doesn’t come close to bankrolling lavish lifestyles. According to the National Institute on Retirement Security’s analysis of U.S. Census data in 2016, retired public employees received an average annual pension of $27,415. (In California, they received between $31,500 and $37,900.) This income is typically the only income received during retirement, because many state and local employees are ineligible for Social Security. So, contrary to popular belief, many pensioners still have to budget their spending and find other ways to supplement their incomes during retirement. Those who make this argument also forget that they are not the only contributors to public pension funds. More than 60% of pension funding came from investment earnings, according to census data between 1993 and 2014. Government contributions should be factored in as well. Between 2015 and 2016, state and local spending amounted to only 4.7% of overall spending. Due to increased government contributions to CalPERS, the pension system is being blamed for “crowding out” public services, such as education, public safety and transportation resources. LAAPOA can’t speak for all public employees, but we, as first responders, do not support reducing or eliminating essential services that our citizens depend on. Law enforcement is already suffering from lack of funding, operating with dismal budgets for training, recruitment and other resources. To further reduce funding because of pensions is not in the best interest of first responders or the people we are sworn to serve and protect. So how did it come to this? The answer, according to the National Institute on Retirement Security, points to lawmakers who have failed to make the required contributions to keep state financials afloat. In California, it began in 1999, when the Legislature allowed retroactive pension benefits without paying for them, essentially overpromising to public workers. From there, a variety of factors, such as low market returns and the Great Recession, caused massive debt to accrue over a short period of time — CalPERS’ once-$33-million surplus turned into a $138 billion pension debt by 2016. Lawmakers have been actively seeking solutions to a crisis for which they are partly responsible. As we have covered previously, Governor Jerry Brown believes that the state should be able to reduce public employees’ benefits and has been working on eroding the California rule, the longstanding precedent that guarantees that pensions cannot be reduced by public agencies without new incentives to offset retirement income. He is also no stranger to making open threats to unions, stating that in the next recession, pensions will definitely be cut in some way. However, many unions are not backing down and are challenging pension law. For example, the Alameda County Deputy Sheriffs Association, which sued Alameda County Employees’ Retirement Association for infringing on its members’ vested pension rights, recently petitioned the Supreme Court for review to challenge the appellate court’s elimination of the California rule. This and other pending union cases indicate that the pension battle is not letting up anytime soon. “Even though LAXPD officers receive their pensions through LACERS and LAFPP, not CalPERS, and our benefits are not funded by taxpayers, we are still paying close attention to pension reform cases like Alameda County because of the far-reaching impacts they have for public employees statewide,” says McClain. “If viable solutions to the pension crisis aren’t reached, if lawmakers and unions can’t work together to find a way to keep up with CalPERS’ bills, then taxpayers will have to pay high costs and public workers could lose their pensions altogether.